Intel 9th Gen Socket 1151, Z390 Chipset, 4x 4400MHz DDR4 (OC), PCI-E 3.0, 6x SATA3, 3x M.2 Socket 3, 2x Intel Thunderbolt 3 (USB Type-C ports), 4x USB 3.1 Gen2 Type-A, 4x USB 3.1 Gen1 (2 Rear, 2 Internal), 2x Gigabit LAN, Dual-band Wireless 802.11ac, Bluetooth 5.0, 7.1-channel Realtek ALC1220-VB codec, 127dB SNR AMP-UP Audio with High-End ESS SABRE 9018K2M DAC, LME 49720 and OPA1622 OP-AMP, WIMA audio capacitors, RGB FUSION 2.0 with Multi-Zone Addressable LED Light Show design, Cutting-edge AORUS All-In-One Monoblock for both CPU and PCH area, HDMI 1.4, E-ATX form factor. Backed by a 3 year Gigabyte warranty. 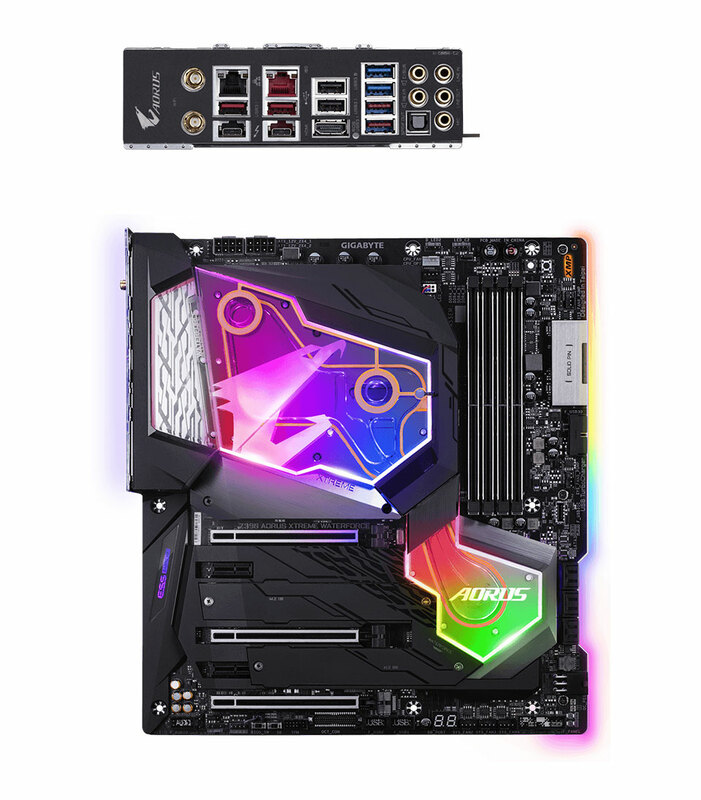 Gigabyte Z390 AORUS ELITE LGA1151 9Gen ATX MB 4xDDR4 6xPCIe HDMI 2xM.2 6xSATA RAID Intel GbE LAN CF 1xUSB-C 8xUSB3.1 RGB Intel Z390 AORUS Motherboard.